Hello October! Like L M Montgomery’s classic heroine, Anne of Green Gables, I am so glad I live in a world where there are Octobers! 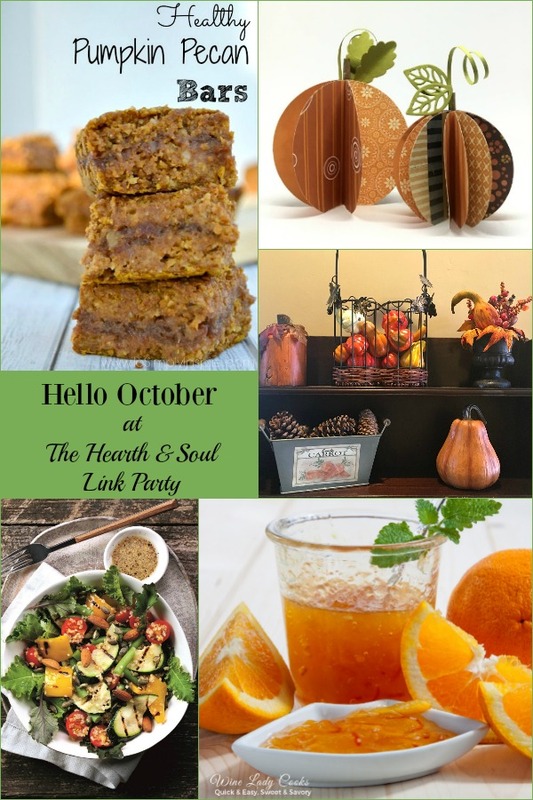 Welcome to the Hearth and Soul Link Party. I’m so glad you are here! We are getting ready for Canadian Thanksgiving this Sunday at our house. Is anyone else celebrating this weekend? We don’t get a Thanksgiving holiday in the UK, but we always try to have a Thanksgiving dinner as near to the Canadian Thanksgiving weekend (the 6th, 7th and 8th of October this year) that we can manage. I love all the wonderful Thanksgiving foods, like this delicious stuffing. 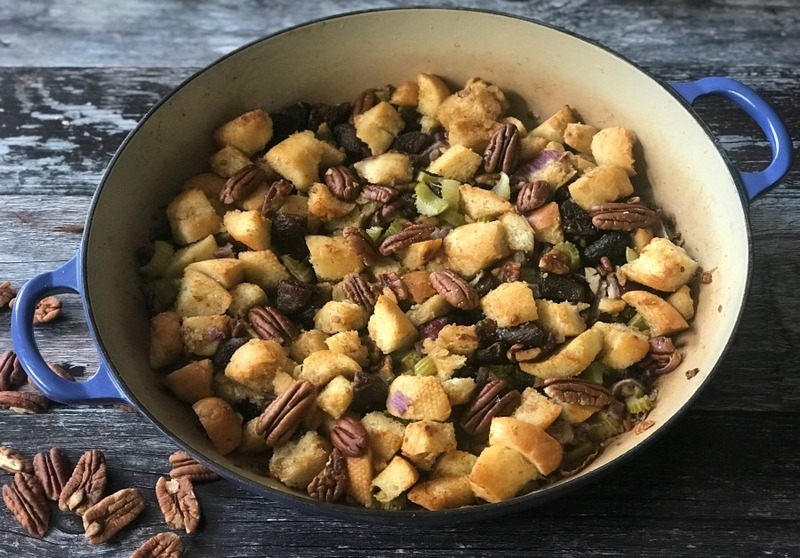 My Easy Apricot Celery and Pecan Stuffing is a real favourite around here. It’s a Thanksgiving flavour sensation, chock full of crisp celery, plump dried apricots and crunchy pecans. Thank you for visiting and sharing last week! thanks for hosting the party April! 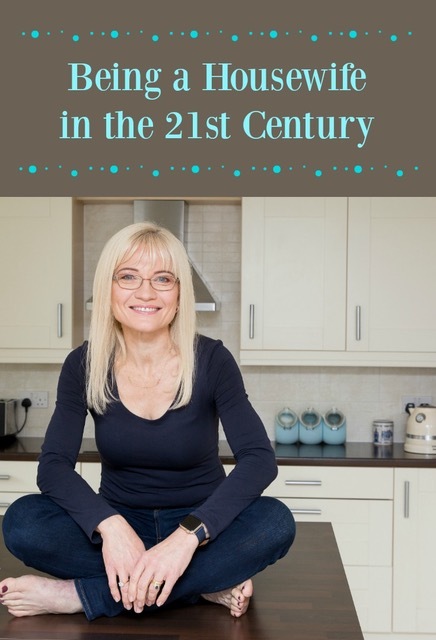 Thank you so much for visiting and sharing, Carol. Have a lovely week! I’m so glad you are pleased, Linda! Thank you so much for visiting and sharing. Have a lovely week! It really is flying by! I do love this time of year though 🙂 Thank you for visiting and sharing. Have a lovely week! Thanks for hosting April! Have a wonderful week! My pleasure, Roseann! I hope you have a lovely week as well! Thank you for visiting and sharing, Patrick. Have a great week! October is finally here! I love it when it’s time for baking more (especially with pumpkin), making comfort foods, etc. All good things in my book. I love this time of year too, Shirley. I’m hoping to get some more baking done in time for Canadian Thanksgiving this weekend. Have a lovely week! Hi April! We are already planning on US Thanksgiving in November and I have shared a post with projects for that. Your stuffing looks delicious and is getting me in the mood for those warm, delicious flavors. Hi Helen, What perfect timing! Thank you so much for visiting and sharing. Wishing you a great week ahead! Oh, how I love October! The whole family is gathering this weekend to celebrate September and October birthdays, and I’m thinking . . . apple pie! Yes! Oh me too, Michele! I hope you have a wonderful family celebration. Apple pie sounds like a great idea! I love all the fall features and I’m glad the little bit cooler weather is here! have a wonderful week and thanks for hosting.. Thank you, Judee, and me too! I love this time of year. I hope your week is wonderful too. Happy October, Claire! It’s a pleasure! Have a wonderful week. Thanks for hosting another great party this week April! You are so welcome, Katie! Have a lovely week! Thank you so much, Barb! I hope your week is going well too 🙂 We’ve got some nice cool fall weather, but not too cold and damp, and the leaves seem particularly pretty this year. Have a lovely weekend! the apricot and pecan stuffing looks delicious! I love throwing a twist on a classic during the holidays and this stuffing is a great twist. Thanks for the idea and for the party! Thank you so much, MJ! It’s a real favourite around here. Thank you for visiting and sharing! April, just like Anne, I love October! Thanks so much for hosting. We definitely have that in common, Jean! 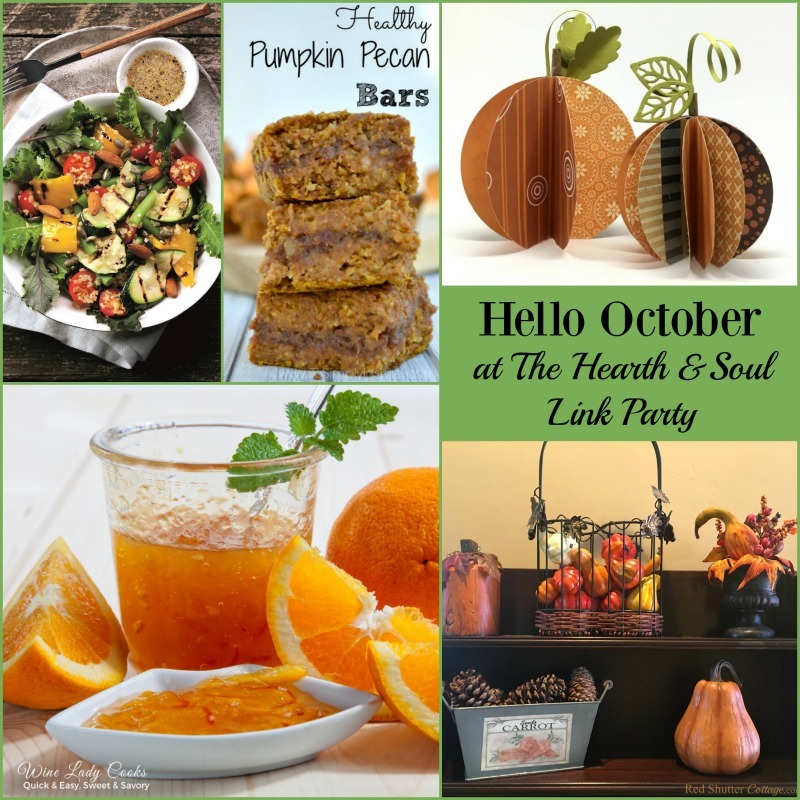 Thank you so much for your support of Hearth and Soul! Thank you for hosting this week. I have shared my Soda Cracker Toffee, it is so easy and tastes amazing.